Oh my oh my oh my........ a classic toy invented back in 80's and it's back!!! I remember my neighbor friend also have one of this. In fact back in out time this toy is very famous one guaranty most of the X generation got play it before one. Yesterday I went to First Emporium with my wife and I spotted this classic toy they selling there. Of coz is no more make in Japan but China now. 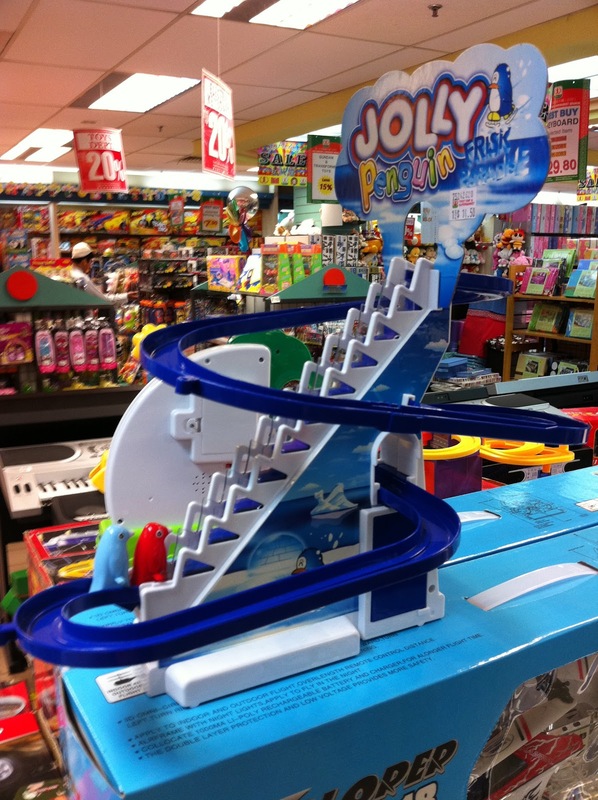 I think I gonna get one of this for my self daughter ..... Basically this toy is those penguin they automatic go up to the top then sliding down to the bottom and repeat and repeat again. Ya I know it does sound fun like the PS3 but this is how we have with the toy + Imagination = Fun.